This was my very very first “Let’s Play!” thread that I did in my internet journal. Wait. What’s a “Let’s Play!” you ask? A “Let’s Play!” is someone running through a video game that they’re ‘supposed’ to know very very well, and take screen shots along the way. This way, the audience–in a sense–plays the game, too. Varying amounts of participation are needed to be successful. Although mine have had very little, the game I went through have very little in the way of participation. This was my very first attempt, so it will be slightly spazzed and clunky. The more I did, the more refined they got. 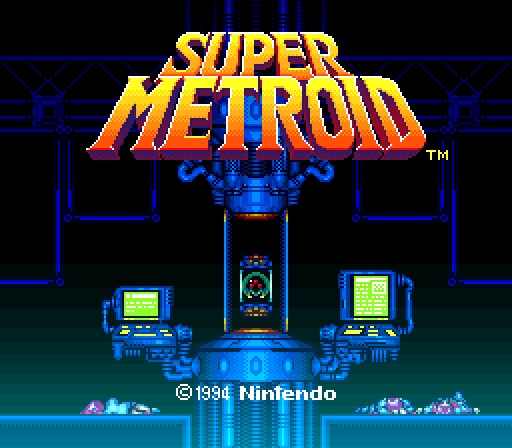 Without much more, let’s roll through my presentation of Super Metroid on the SNES.